1) fat 1/4 of Ruby Red hand dyed 100 % wool fabric. 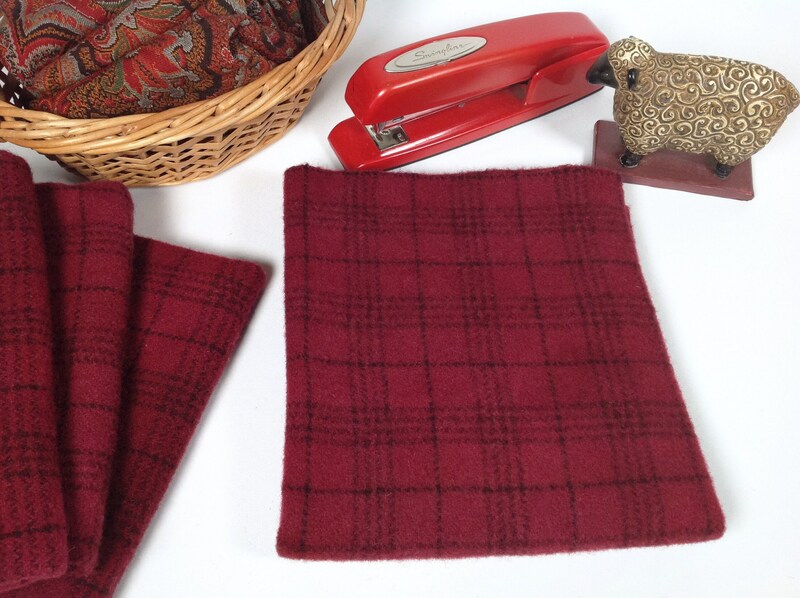 It is a rich deep red recipe that I hand dyed over a natural and black plaid wool. This listing is for 1) fat quarter yard of hand dyed 100% wool fabric. Other color names that come to mind are raspberry, deep cheery, maroon, burgundy, cabernet, wine red, red grapes. The piece measures approximately 16" x 28". 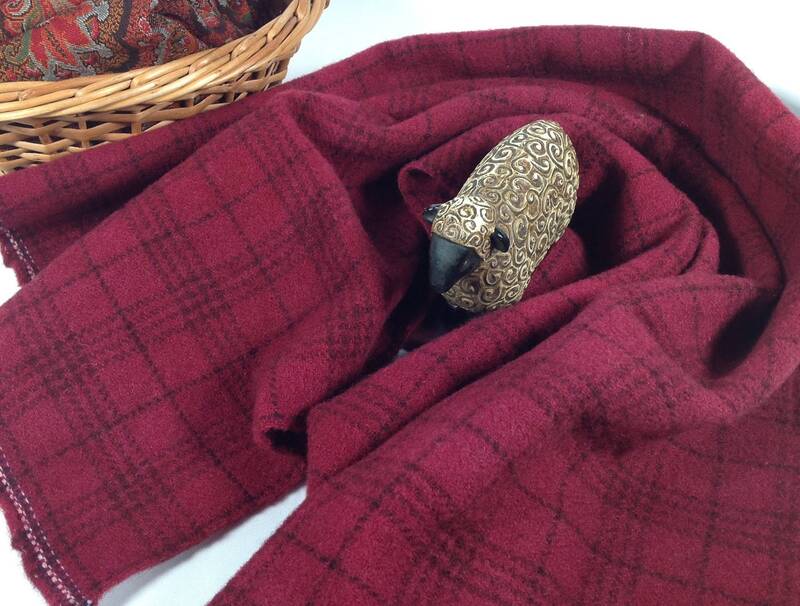 It is a medium weight wool suitable for applique and wide cut rug hooking (#8 and wider). 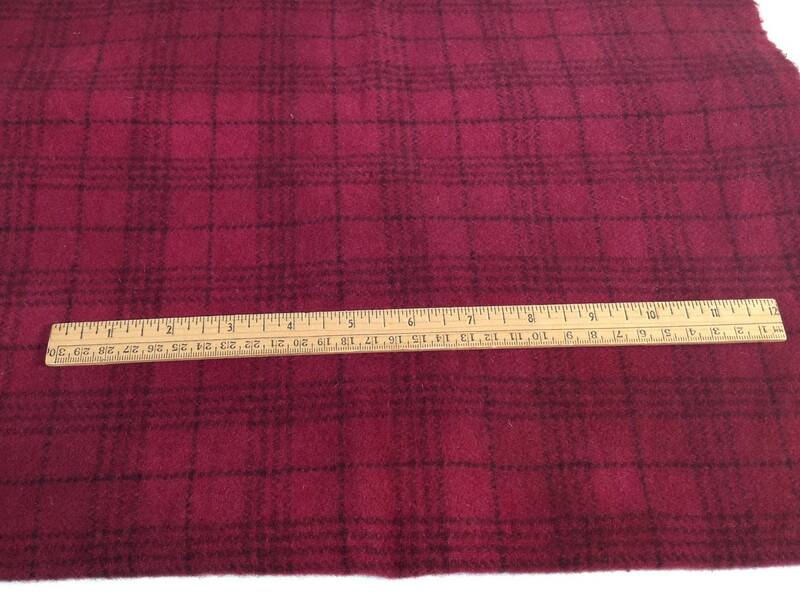 The 2nd photo shows the size of the plaid. In the 3rd photo I added my vintage red swingline stapler just to give a better understanding of the depth and color. 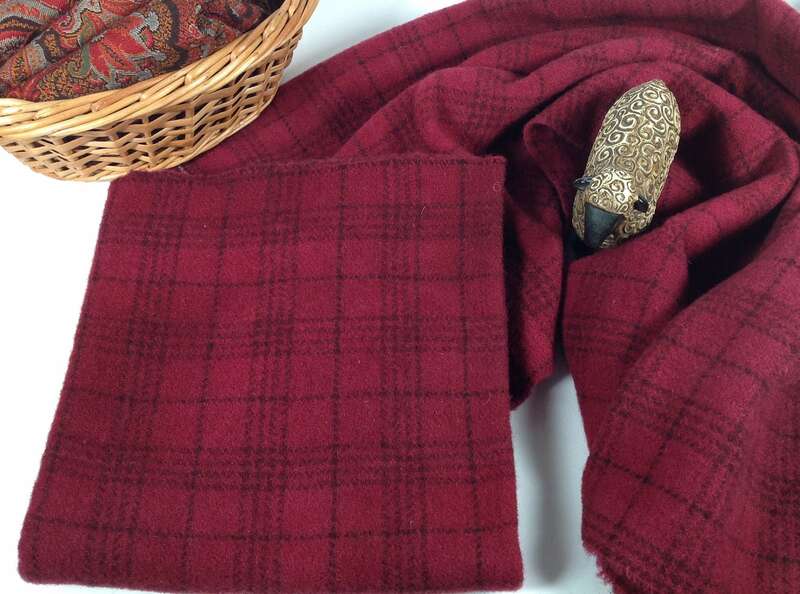 You can also see the basket of paisley wool that has warm shades of red, all placed there to get the camera to "read" the red a little better. This listing is on the cool side of red. It's a great color to use for Valetines, Christmas and winter projects. Use it for flowers, grapes, Christmas stockings, table runners, pincushions, make-dos, pin keeps, and many other craft projects. Thank you for visiting and please contact me if you have any questions.